Welcome to Cruise World Holidays. Cruiseworldholidays.com.au is your one stop shop for cruising holidays from Australia and around the world. Cruising is not what it used to be – today there are so many choices and options to cater for every need. Through the information on our Cruise World Holidays website and our accredited cruise consultants we are certain we can help you select the perfect cruise holiday. Cruise World Holidays is a division of helloworld Revesby, a franchise of Helloworld Limited; Australia’s largest network of franchised travel agents. We are members of the Cruise Lines International Association (CLIA) Australasia and the Cruiseco Consortium, the leading Consortium of Cruise Travel Specialists in the Southern Hemisphere. Whilst we can assist with any travel requirements, we are a cruise specialist agency. We pride ourselves on our specialised service evident through our extensive knowledge of destinations and traveling in general. Our highly experienced and qualified team at Cruise World Holidays understand how essential and convenient it is to have an easy one stop cruising website, providing the best deals and the largest cruising range available. Therefore, our cruiseworldholidays.com.au website is designed to offer you an extensive range of cruises, on every major shipping line, to every major cruising destination. Here we give you access to book your perfect cruising holiday. In addition, our Cruise World Holidays consultants are on hand to help you make your cruising decisions. With our global knowledge and personal travel experience we will help you find the right cruise to suit your needs and also assist you with any other travel components required to complete your dream holiday. 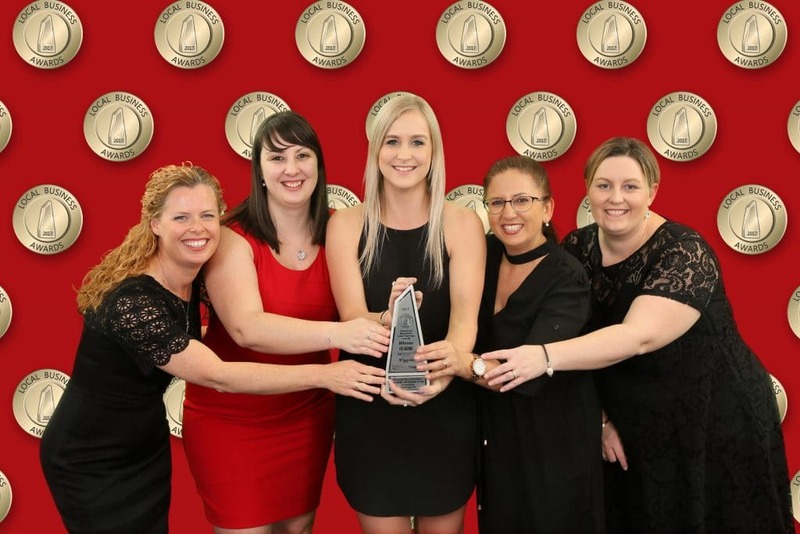 The team are 3-time nominees and 3-time winners at the Local Business Awards taking out the “Outstanding Specialised Retail Business” award in 2016, the “Outstanding Travel Agency” award in 2017 and 2018. These awards are a testament of our dedication to being the best in our field. 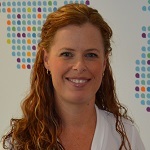 Janelle has worked as a retail travel consultant for over 13 years. She has achieved great success as a travel consultant, winning Travelworld State Consultant Award in both 2006 and 2013 and was awarded a helloworld Platinum Sales Award in 2014. She was a finalist in the Travel Weekly Best Up & Coming Consultant in 2007 and a stage 2 finalist in the 2007 Avis Scholarship of Excellence. Janelle has obtained accreditation as a Master Cruise Consultant with the Cruise Lines International Association Australasia which is the top tier accreditation of the program. Agents who have achieved this level are fully engaged in all things cruising and stand out from the crowd. Janelle has sailed aboard various ships with the P&O, Royal Caribbean, Carnival Cruises & Norwegian Cruise Line fleets. She has also inspected several ships over the years from cruise lines including Royal Caribbean, Holland America Line, Cunard, Princess Cruises and Costa Cruises. Janelle has developed a passion for cruising which led to her being a co-creator of Cruise World Holidays so she could share her passion and expertise with like minded travelers across Australia. In addition to the continual cruise training she is doing, she is planning many more cruise holidays for herself. Janelle sailed aboard Rhapsody of the Seas on Cruisin Country 4 so has experienced first hand one of the music cruise charters and will be able to provide you with top tips and advice. She also has sailed aboard both Ovation of the Seas & Norwegian Jewel during their maiden seasons in Australia. Janelle has travelled within Australia as well as overseas to various countries including Fiji, the Cook Islands, Tahiti, Bali, Thailand, Vietnam, throughout Europe, the USA & Hawaii. She has cruised to Vanuatu, New Caledonia, New Zealand, Canada, Hawaii & Tahiti. Her favourite destinations are the USA & Tahiti. Amanda has been in the travel industry for over 22 years and has a passion for cruising. 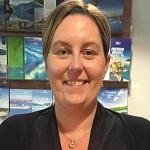 Having previously held the position of Cruise Operations Manager for one of the largest cruise wholesalers, Amanda brings with her a wealth of knowledge in all things travel in particular her extensive cruise knowledge. Amanda’s passion for cruising has seen her complete her CLIA training, holding the current status of Cruise Master. Amanda’s passion for cruising began many years ago when she sailed on her first ever cruise onboard Superstar Gemini. Since then Amanda has been fortunate to sail on many different cruise lines, including Royal Caribbean International, Celebrity Cruise Line, Princess Cruises, Costa, P&O Australia, Carnival Australia and Holland America Line and has visited many different ports throughout the world. She has also completed comprehensive training on Royal Caribbean International, Celebrity Cruise Line, Azamara Club Cruises, Holland America Line, Blue Lagoon Cruises and is a Princess Cruises Commodore. In addition to this Amanda is in the process of completing other training opportunities including Seabourn, Norwegian Cruise Line and Voyages to Antiquity. Amanda has travelled extensively throughout the world, including America, the Pacific, UK, Europe, Asia, Africa and has cruised the Mediterranean. A highlight of her career was cruising the Mediterranean as not only can you visit a different country every day, enjoying historic landmarks, diverse cultures and local cuisines – you can do all this whilst having to only unpack once! Amanda’s top travel tip is to try at least one local dish in every country you visit. Not only will it give you an insight into the country you are visiting but it’s also fun to re-create the dish for friends and family when you return home. Her top cruising travel tip is to book into a Specialty restaurant on the first night of your cruise. Most travellers will spend the first night dining in the main restaurant which means other days through-out the cruise usually fill up quite quickly. If you book in for the first night you are less likely to miss out. This is especially important if you are only doing a short cruise. Amanda’s mission as a travel consultant is to provide exceptional service whilst helping you to create an unforgettable holiday experience. Kaylee has worked in the travel industry for just over 5 years and is passionate about creating memorable experiences for her clients. It’s through her own love and passion for exploring new worldwide destinations that she can best recommend her favourite places to her clients. Over the years she has been lucky enough to travel by coach, land and cruise to New Zealand, New Caledonia, Vanuatu, Fiji, Bali, Malaysia, Thailand, Cambodia, Laos, Hong Kong, Taiwan, Japan, United Kingdom, Netherlands, France, Germany, Czech Republic, Austria, Italy, Switzerland, Belgium, Denmark, Croatia, Greece, West Coast USA, Hawaii and throughout Australia. It’s through her exceptional customer service and client feedback that she received the “Youth Award” at the Bankstown Local Business Awards in 2015 and was a Finalist in 2017. In 2016 she was honoured to be featured in the Travel Weekly’s “Travel’s Rising Stars” article. 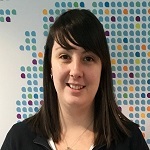 Kaylee is a CLIA Master Cruise Consultant and has enjoyed cruises on board the Celebrity Solstice, Carnival Legend, CMV Astor, Genting Dream, Pacific Eden and soon to be Carnival Splendor. In 2019 Kaylee will be ticking off more bucket list trips which will include a Carnival Splendour Mexican Riviera Cruise, Las Vegas, Coachella Valley, New York, Orlando and Phuket. Kaylee’s favourite destination is Santorini where you can enjoy the beautiful sun setting on the cliff faces whilst sipping on a glass of wine. Her bucket list destinations are South America, Iceland and the Mediterranean. Her top travel tip is to never forget the importance of taking out Travel Insurance for all travel journeys. Natalie began her travel career back in 1994 in wholesale travel. She spent many years working with travel agents on worldwide itinerary planning and maintaining relationships with various resorts, tour operators, airlines and tourism offices. Natalie says the best part of her years in wholesale was the many opportunities she had to visit those suppliers she worked so closely with as a Product & Marketing Executive. After having her family, Natalie tried her hand at retail and has successfully developed a repeat clientele over the past 8 years based on trust and knowledge. Natalie has continued to travel to various countries throughout the South Pacific, South East Asia, Middle East, Europe, the Americas and Hawaii over the past 24 years. Natalie has developed a love for cruising over the last few years having sailed aboard various P&O ships as well as Holland America Lines Noordam, Royal Caribbean’s Explorer or the Seas and Norwegian Cruise Lines Pride of America. She has also had the opportunity to inspect several ships over the last few years including Sun Princess, Carnival Spirit, Ovation of the Seas and Azamara Journey. Her most memorable trip was Argentina two years ago and just this year travelled back to Hawaii to cruise the islands. She is also a keen skier and has a special interest in ski regions and culturally rich destinations. 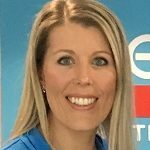 Prue has enjoyed many years working in the travel industry, starting her career in wholesale where she spent 12 years working her way from a reservations consultant through to a senior management role as Airfare Product Manager. Her most memorable experiences from this time were the opportunities to travel overseas for work and leisure at least 5 times a year and took groups of travel agents on educational trips. After leaving the industry for a few years to have children and expand her family business, she began her new venture with Cruise World Holidays a year ago. Over the years Prue has travelled extensively through Asia including Thailand, Vietnam, Cambodia, Japan, Hong Kong and Indonesia from backpacking through to luxury holidays. She loves experiencing different cultures and her most memorable trip was trekking through the hilltribes of Thailand staying with the local families in their villages with no electricity or modern comforts. Her passion for photography has lead her to meet some amazing people over the years particularly loving taking portrait photos as she says the eyes are the gateway to the soul. Whilst preferring the more adventurous destinations Prue also appreciates a good relaxing holiday like to the South Pacific, travelling numerous times to Vanuatu and also Fiji where she was married on one of the islands. Since her return to the travel industry Prue recognises the boom in the cruising market and whilst having been on a Caribbean, Mediterranean and Australian domestic cruises she realises she has only touched the surface of the amazing cruises on offer and is looking forward too many more in the future. Prue’s favourite destination is Canada and she can’t wait to head back in the next year to explore more of the beautiful scenery and also visit her family.